The University of Oregon has signed an international exchange agreement with a prestigious Northern European university, its sixth agreement completed in 2016. The new exchange program starts this spring term and allows students from the UO and the University of Latvia to study at the partner institution for a semester or year. Students directly enroll in courses at the partner university and receive credits toward their degree at their home institution. “This prestigious exchange program adds diversity to the UO campus by bringing Northern European culture and perspectives to Eugene, as well as insights into an old and unique culture now part of the European Union framework, while also providing important language learning and cross-cultural academic opportunities for UO students abroad,” said Eric Benjaminson, senior advisor for global engagement at the UO Office of International Affairs. The University of Latvia was established in 1919 and is situated in the medieval center of Riga. As a full member of the European Union, Latvia welcomes many international students under the Erasmus Program, creating a diverse international experience for UO students on this exchange. 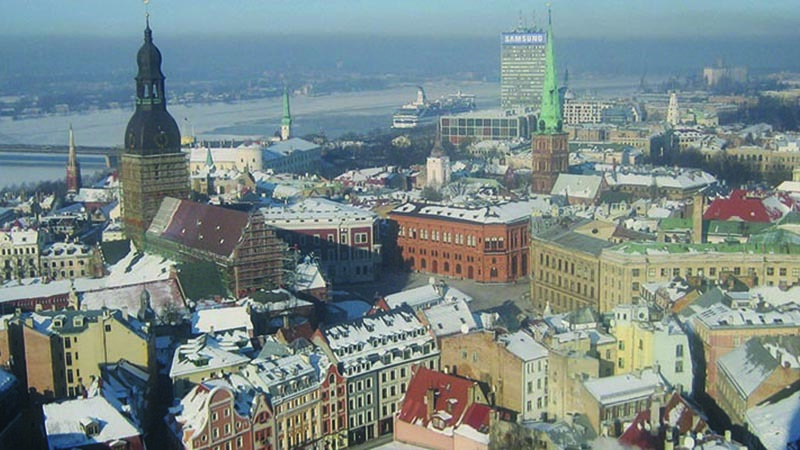 Latvia is a prime location to specialize in programs such as European Union studies, international business, life sciences, and Russian and Latvian language studies. With more than 14,000 students, 13 faculties and 20 research institutes, the University of Latvia is one of the top research universities in the Baltics. The exchange provides a truly immersive cultural experience for University of Oregon and University of Latvia students alike. More information about the exchange can be found at the UO’s study abroad office, Global Education Oregon.